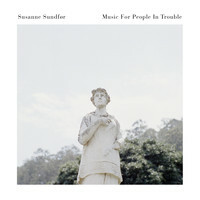 Last seen performing with Jarvis Cocker and John Grant at the BBC Scott Walker Prom, Susanne Sundfør has now unveiled the follow-up to Ten Love Songs, one of our favourite albums of 2015. We sat down with the Norwegian singer-songwriter to discuss how travelling, climate change and a process of self-discovery inspired her exquisite new LP, Music For People In Trouble. You recently played the BBC’s Scott Walker Prom alongside Jarvis Cocker, John Grant and Richard Hawley. How did you become involved, and how was the experience? Simon Raymonde, who runs Bella Union [Susanne’s label], was the one who had the idea initially, and then he thought of me. I was worried that I was going to be really nervous, but to be honest I wasn’t, I think because I trusted the orchestra and the conductor, Jules Buckley, and also because the music is so good. Sometimes you sing songs and you’re like, “What is this really about? I don’t really understand it, I can’t really relate to it, I can’t really feel it.” But I could definitely, with Scott Walker’s music. Though your last album signalled something of a breakthrough for you, it coincided with a difficult period personally. Can you tell us about the context? I think I’m so much involved in my job that if I don’t work I just feel a bit like, “Well, what am I doing here, then?” (Laughs) It’s necessary for me to be creative somehow, or at least be working in art in some way. So I think it was a really good idea to start taking pictures, because then I took a break from thinking of music – which can sometimes be a bit stressful – and focused on something completely different, but something that’s also artistic. So I got to combine that with seeing the world. I think if I [travelled] just for pleasure, I would be bored. If you don’t take care of yourself in these times, you’re not going to be able to survive what’s coming. So first I went to Spain to a retreat with an organisation called Dark Mountain Project. We spent one week in the Pyrenees and that was beautiful. Then I went to Iceland and to America, where I spent some time in the wilderness of Colorado and took some really nice pictures. Then I went to Las Vegas, just to do something completely different, and then I went to Guatemala for a couple of weeks which was really nice but, because I was travelling on my own and there were all these warnings everywhere that women should be careful, it was a little bit restrictive on how much exploring I could do. Then I went to Brazil, and that was maybe the coolest place because I talked to the head of the Rainforest Foundation in Norway and I told him that I wanted to go to Amazonia to see places and people that maybe not all tourists get to see. He put me in touch with a local organisation in Brazil and they took me on a boat ride, seven hours down a river and we spent a few days with the rubber tapper people who’ve been living isolated, I think, for 200 years. So that was pretty amazing. Lots of big spiders. How are you with big spiders? So scared. (Laughs) It was totally worth it. I think they saw me as this spoilt brat coming from Europe trying to experience something different, so when I got out of the boat they were like, “Oh, by the way, be careful where you walk because spiders might bite you.” And it was dark and you couldn’t see anything. I was like, “Thanks!” And we came into the house where we live, and he just says, “Oh come over here,” and then he just puts a flashlight on this HUGE spider. So yeah, I had a mosquito net and luckily I had brought with me some sleeping pills just in case I had trouble sleeping with jet lag, and I was like, “I’m taking this pill because I’m not waking up in the middle of the night with a spider on my face.” And then I went to China and North Korea. Are you allowed to take photos in North Korea? Yeah, you just have to ask first. And you can’t take pictures of the military, and a couple of other things as well that I don’t remember now but they had these rules. Like, when you take pictures of the statues of Kim Jong-il and Kim Il-sung, you have to take a picture of the whole figure. If you photograph just part of it they get really upset. But as long as you do what they tell you to do and you ask all the time, you’re fine. I asked so much that one of the guides said I had to stop asking so much. What was the purpose of the photography project? It was for the album, that was my plan. I just wanted to take pictures of exotic places – places that were very different from where I grew up – or of different cultures and nature that might be threatened by climate change. I just wanted to get some sort of collection of impressions that I felt fit with the themes of the album. On Ten Love Songs, you took control of most elements of the recording process. For Music For People In Trouble you’ve co-produced with Jørgen Træen, who you worked with on The Silicon Veil. Can you tell us about that decision? So, he hasn’t actually produced with me before, but he has mixed all the albums. It was necessary to do Ten Love Songs alone because I had a lot of concrete ideas about how I wanted things to sound, but I didn’t do it all on my own. It’s not like I produced all of it by myself. But I did do a lot of work on it and it made me really, really tired. And also, it’s a little bit uninspiring to not be working with somebody else. And I always really like the mixing process with Jørgen because he’s so good at it, and he has so much musicality in him and a deep understanding of where music needs to go. So I asked if he wanted to produce it with me and I’m really happy I did. This time it felt like I had cheated at the end because I felt like it was so easy and such a positive process. Recording shouldn’t always have to be a struggle though, should it? Exactly! Exactly. And it wasn’t this time. It was very inspiring. 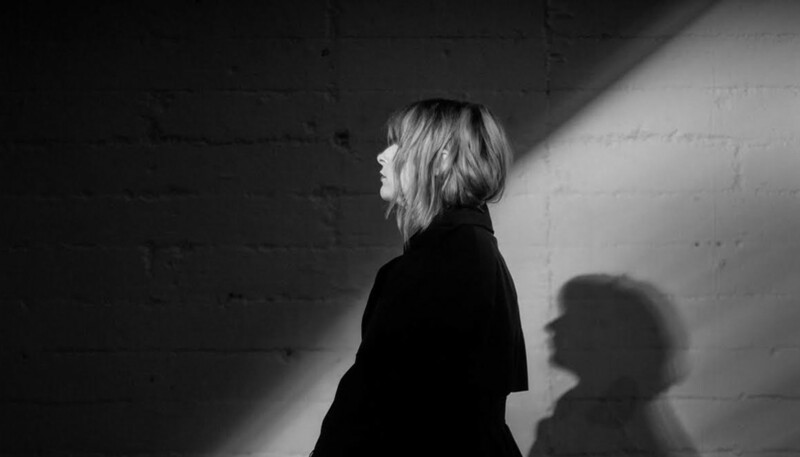 On Ten Love Songs I was such a perfectionist, and I’m happy with the result and that’s how it needed to be, but I’m glad that I went in a different direction this time, so the focus wasn’t for it to be perfect pop. It was something more improvisational, almost, and intuitive, which is a much more comfortable way of making and writing music. You’ve cited influences as diverse as Gram Parsons and Suicide for this album, as well as lots of film scores. How do they inspire you? Well, when I go to the movies, everything moves me. I get goosebumps from everything. Like, just the curtains being drawn gives me goosebumps. The whole experience is very exciting for me and it’s a very powerful medium, the cinema. The scores are supposed to be awesome, and it makes really powerful music. I don’t listen to film scores on their own, but I like to put that kind of vibe on my own albums, because life is a movie, or it feels like that sometimes. Music For People In Trouble could scarcely be more different sonically from Ten Love Songs. ‘The Sound of War’ is fascinating – can you tell us more about its creation? Yeah, I wrote it here in London. I actually remember because I had a shed in the back yard so that’s where I had my studio. So I was in the studio playing around and I wanted it to be like Armageddon, like a Wagnerian rock atmosphere, with machines and witches colliding in the sky. That was my idea. (Laughs) I started writing it when the migrants started to coming to Europe on boats. I was picturing this lady who had lived all her life somewhere and then had to abandon everything, and how insane that must be. Just imagine that there is nothing left of your country, and so you leave and you’re treated like nothing. You don’t have an identity outside of being a refugee. In ‘Bedtime Story’ you say, “I always thought my life would be a sad song.” Is that what you believe? Well, I used to think that. I think a lot of people have ideas about themselves that is very destructive. And you tell yourself truths that aren’t true which is what happened during what I like to call my “transformation”. (Laughs) I don’t say to that myself anymore but I used to. It feels like the songs on the album are pulled together by a mood that sometimes borders on pessimistic. Would you agree? No. (Laughs) A lot of it is quite negative or sad, but you have to listen to the album from beginning to end, because that’s the transformation that I’m talking about. I think that today it’s really important to go into yourself and find what you think are the truths and figure out if they’re true or not, because if you don’t take care of yourself in these times, you’re not going to be able to survive what’s coming. I think it’s going to be pretty hard to be a human being this next decade, and you have to be healthy. So this album is about peeling your own onion, as Joni Mitchell says. And at the end I hope people can come out having gone through the process of washing away your sadness and then you have ‘Mountaineers’ which is you being ready for battle, basically. It’s almost like a training camp, this album. (Laughs) A lot of people have said it’s very pessimistic when it comes to the world, and I don’t think that’s true. I think it’s just realistic if you consider what scientists are saying today. You can’t really hide from it and I think in order to be able to face those challenges you have to also face your own challenges and that’s pretty much what the album’s about. It’s more about cleansing and catharsis.